Through a facilitated co-creation and innovation process, the initiative aims to test new collaboration models between brands, manufacturers, startups and other value chain actors to help the industry develop new product, process or business model innovations. 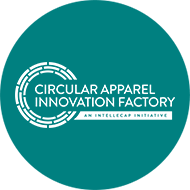 By offering access to a well-curated network of solution providers, facilitating the discovery of opportunities and new ideas, creating test beds for pilots and prototyping, structuring collaborations, and designing pathways for adoption and scale, we enable circularity champions in the industry to accelerate success. 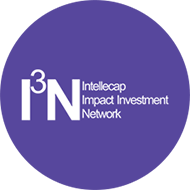 Intellecap Impact Investment Network (I3N or I-cube-N) is a global network of impact investors, both individuals and institutions who come together to co-invest in impact enterprises across India and East Africa. Our aim is to plug the pre-VC funding gap early stage enterprises face by mobilizing domestic capital and connecting international investors to domestic investors. Our investors come together to support brilliant and passionate entrepreneurs who are dedicated to solving difficult problems at the bottom of the pyramid. I3N has over 480+ investors across India and East Africa, with investing interests in India, Kenya, Rwanda, Tanzania and Uganda. 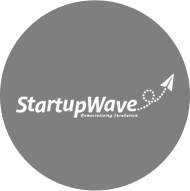 StartUpWave is a virtual pre-incubation and incubation platform that aims to make the entrepreneurship ecosystem more inclusive and reach more entrepreneurs by bringing the physical support ecosystem online. It aims to reach enterprises beyond metro cities in smaller towns or rural areas; scale-up incubation capacities to serve a larger number of entrepreneurs, and use scarce resources more efficiently to provide quality business support. Launched in 2014, Startup Wave has roughly 800 entrepreneurs registered across India and East Africa, who are at various stages in their entrepreneurial journey. 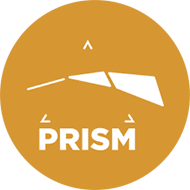 PRISM is a proprietary tool conceptualized and developed by Intellecap in 2013 as an assessment and reporting platform with the goal of driving transparency and accountability in measuring social impact and hence strengthening the impact investing industry. This tool can be used by Impact Funds, Investors, Enterprises and Government for evaluating the impact created through their initiatives. It aims to achieve the vision of increased and sustained flow of funds across impact sectors through its holistic evaluation framework and metrics that encompass the role of investors and grant makers, impact results of investments, as well as the local context in which impact is being created. 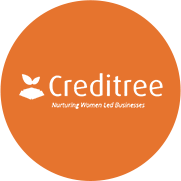 Creditree was conceptualized by Intellecap to provide a one stop solution to promote women entrepreneurship in India. Creditree provides access to information, mentorship and debt financing support through our network partners to women entrepreneur’s doorstep allowing her to focus on business operations. It supports financial institutions to align their efforts through match-making with ready to invest women-led businesses. Creditree aggregates market catalyzers such as women associations and mentorship experts on the platform to work together to provide assistance and networking support to women entrepreneurs.